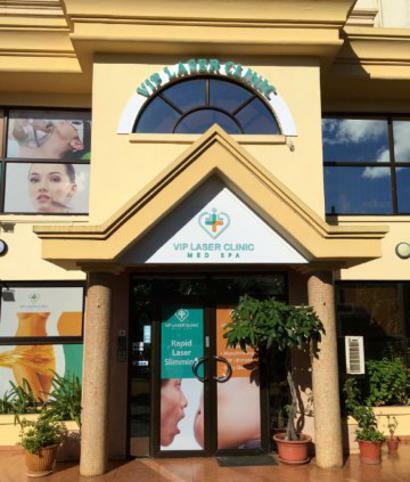 VIP LASER CLINIC MED SPA - MAURITIUS - What Is A Med Spa? A medical spa, medispa or medspa (USA usage) are terms that describes any medical office that operates under the supervision of a licensed health care professional, such as a medical doctor (MD) and offers non-surgical and surgical elective aesthetic medical treatments. Medical spas may offer additional treatments that can only be administered by licensed medical professionals, such as MD's or RN's. A medical spa, medispa or med-spa (UK usage) are terms that describe a clinic that offers non-surgical and day surgical elective cosmetic medical treatments. A medical spa or medispa combines elements of a (cosmetic) doctor's surgery, an aesthetics clinic and a beauty salon. Treatments offered depend upon the qualifications, experience and scope of practice of the licensed medical practitioner working in conditions of a medical spa. A day spa, an airport spa, and a destination spa. A day spa is a business which provides a variety of services for the purpose of improving health, beauty and relaxation through personal care treatments such as massages and facials. 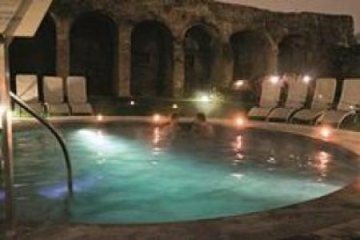 It is different from a beauty salon in that it contains facilities like sauna, pool, steam room and whirlpool that guests may use in addition to their treatment. Lavish facilities, gifted international spa therapists and a soothing ambience combine to create tranquil sanctuaries away from the busy airport environment. First Class Lounge Spas, Business Class Lounge Spas and Airport Hotel Spas are idyllic facilities that provide a wide range of rejuvenating services that will leave you feeling recharged, refreshed and ready for your flight. If you have more time before your flight, you can pamper yourself with the extended treatments provided at Airport Hotel Spas, enjoying a wide range of signature therapies for wellness, rejuvenation and beauty including massage, body and facial treatments. 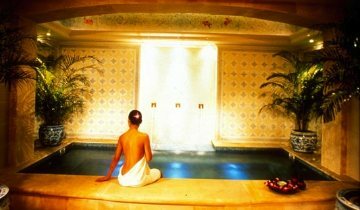 A destination spa offers the same services in a hotel setting where people reside or visit it in order to benefit from the spa services. body treatments such as body wraps, salt scrubs, etc.